The resolution—which says such a wall “is only found in a war, prison or battle setting” and has no place in the city—says that if the government does not remove the wire, it will file a lawsuit to have it taken down. 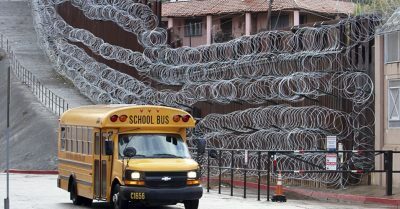 Earlier in the week, Mayor Arturo Garino told the local Nogales International that the razor wire was “lethal” to the town’s residents. “I really don’t know what they’re thinking by putting it all the way down to the ground,” he said.